Eclipse is the perfect blend of Kenya and Kona beans. East African coffees are dried in the sun bringing out their bold, sharp taste which yield grapefruit, carbon and dark cocoa then mixed with Kona offering a bolder, richer and more aromatic coffee. Great for pour overs, cold brew and drip. 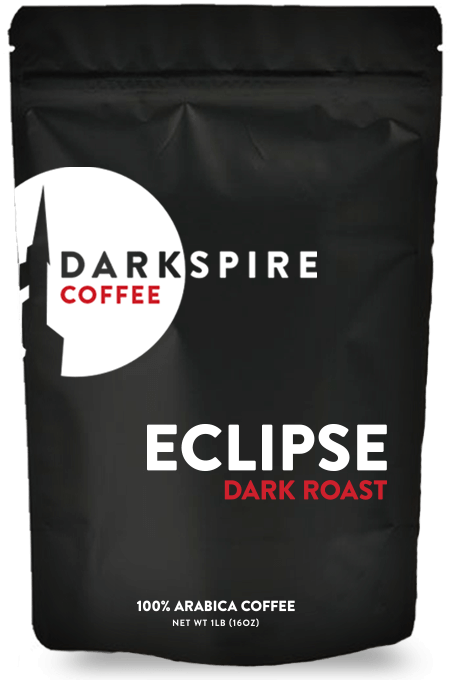 Enjoy a cup of Eclipse today. 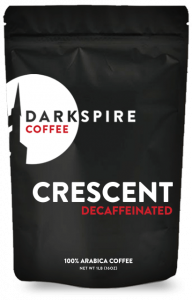 Darkspire Coffee is absolutely ridiculously delicious! This is not your average run of the mill coffee. 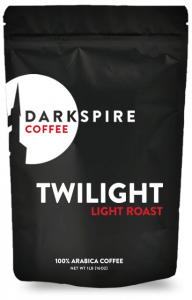 For the past 3 days my mornings have been beautifully enriched by a smooth, rich, and balanced cup of Eclipse Dark Roast. I highly recommend this for anyone who enjoys a high quality cup to get their mornings going!! Thank you so much Darkspire!! Rich, Bold and Smooth. Just delicious!